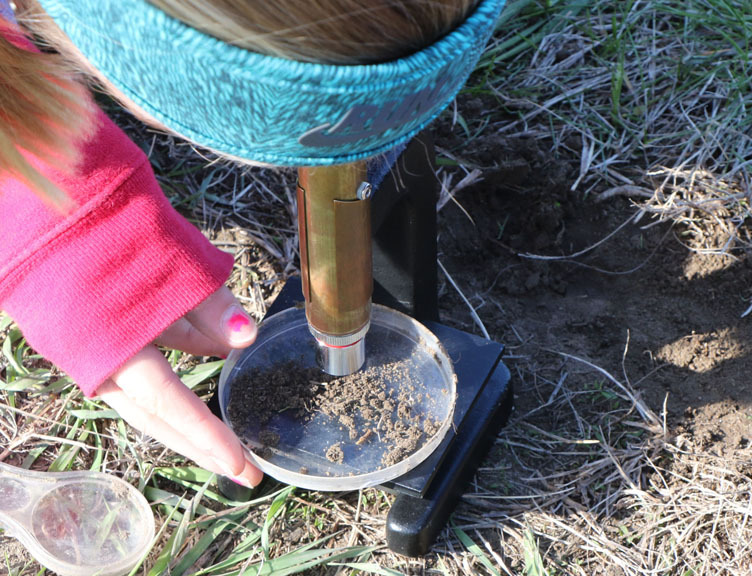 Carley Damme examines a soil sample with a telescope. 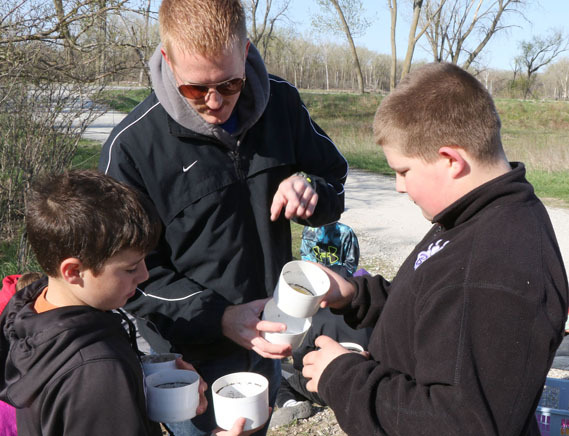 DeSoto NWR is an integral part of the Blair Community Schools curriculum for primary through secondary grades. 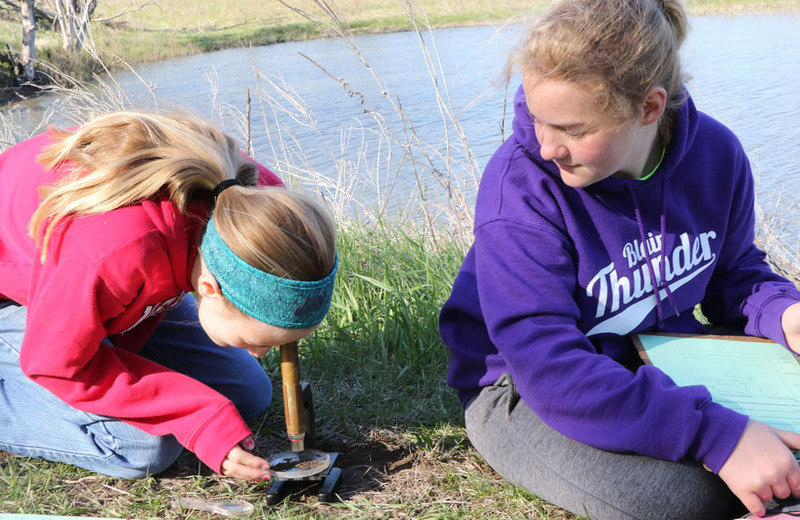 In May, Otte Middle School science classes conducted a soil study lab.During the week before the end of the school year, Arbor Park fifth graders participated in and outdoor education day. 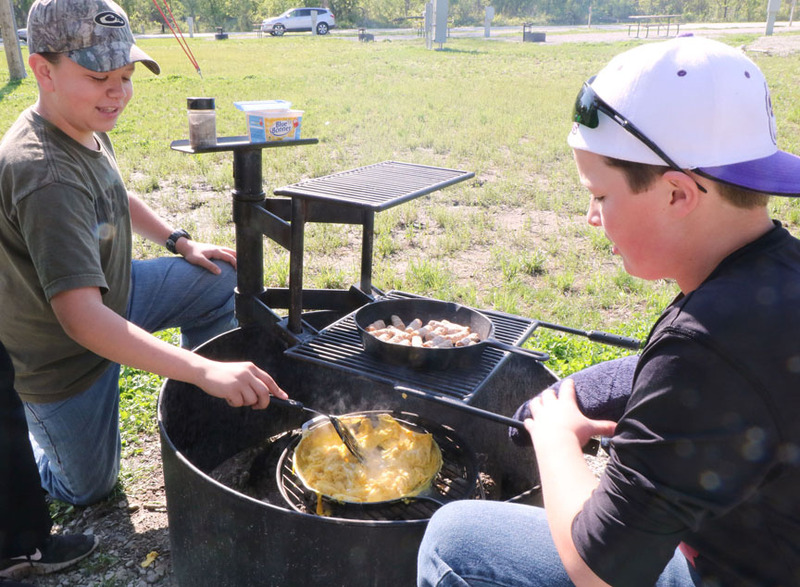 With the help of refuge and school staff and many volunteers, students cooked breakfast in the out doors and enjoyed four activity blocks. Throughout the year students visit the refuge to study topics such as prairie exploration, nature journaling, and bird migration. The DeSoto NWR /BCS partnership is nationally recognized outdoor education consortium. 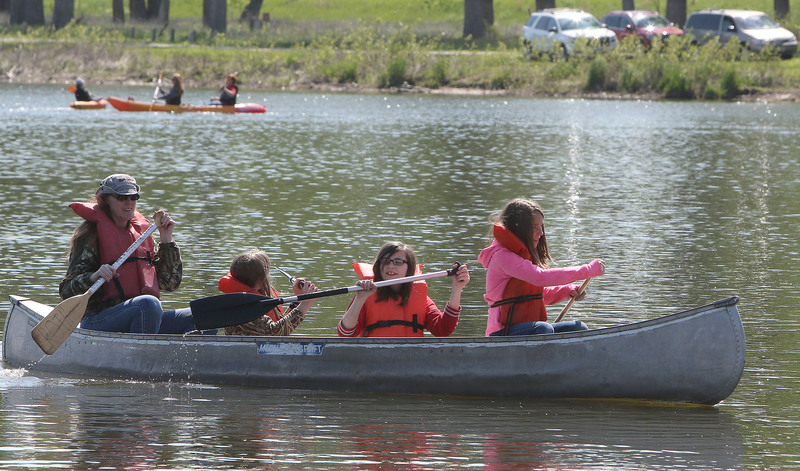 Parent Dana McCabe helps Maggie Valasek and Taylor McCabe paddle their canoe during Outdoor Education day. at DeSoto National Wildlife Refuge. Gabe Gaskil and Kellen Hartzell with Mr. Norine take apart a sieve set used to filter soil particles. Carley Damme and Carmen Warrick study soil samples . under a microscope. Riley Camelin and Caleb Coburn get ready to study a container of filtered water. From left, Shania Stahlnecker and Serena Washington record data from observing their set of soil filters. Chase Jensen looks for plant material and small bones in a soil sample. 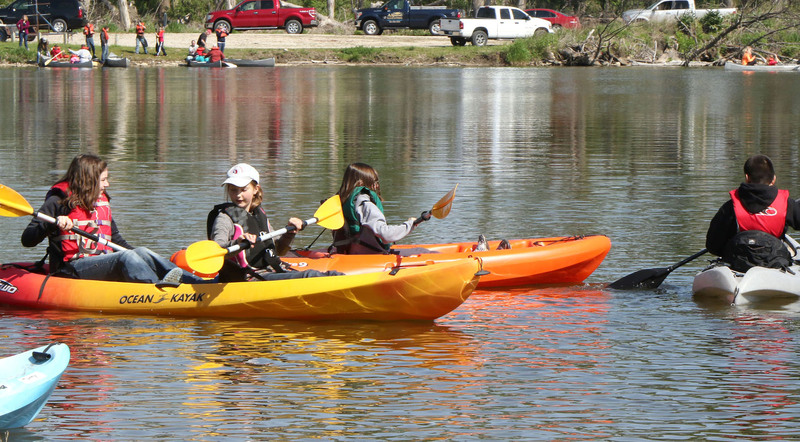 Parent assists fifth graders paddle a canoe on DeSoto Lake. 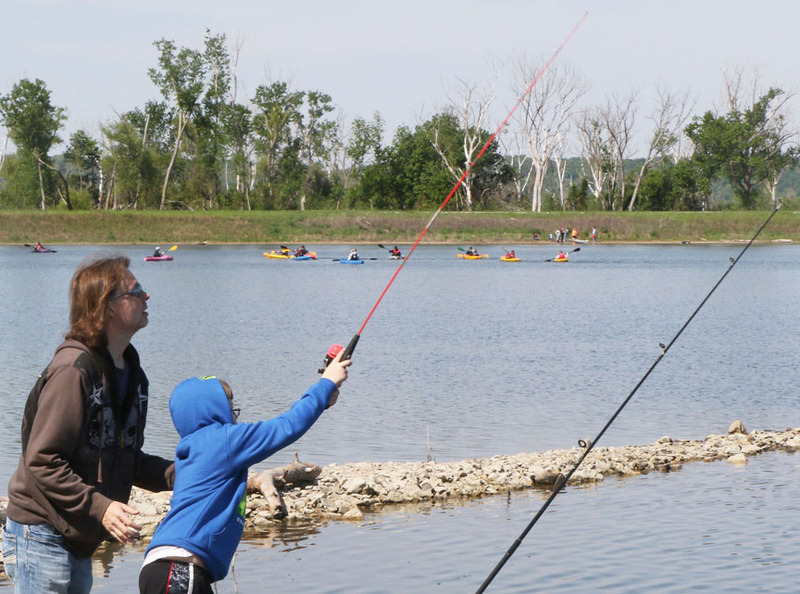 Gage Nissen casts his fishing line into the lake.